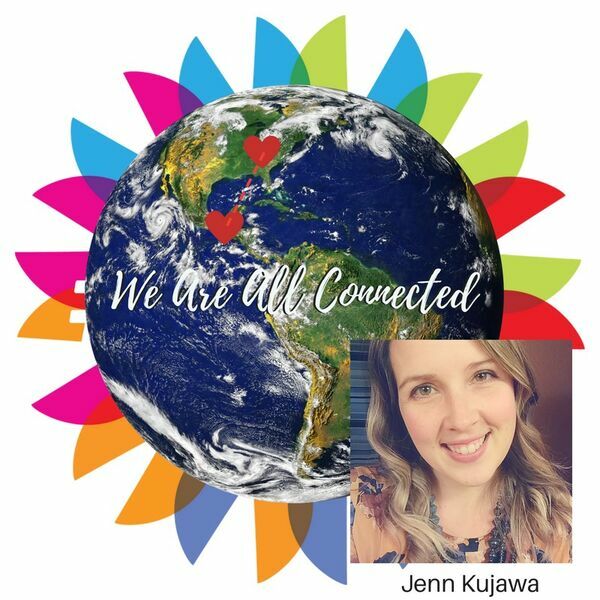 Jenn Kujawa is all about going scared, overcoming fears, embracing her worth as a woman, and being a positive force for change in the world. In this episode, we learn about her recent trip to Guatemala to meet women with whom she is partnering to offer fair trade accessories to Americans, and in-turn, provide a living wage to families who otherwise might not be able to provide for themselves. Further, Guatemala, a developing country, just experienced their worst volcanic eruption in over 100 years on the day Jenn departed for home. She joins us less than 48 hours after arriving back in the States to share moving stories from her trip, and to tell us that the choices that we make here do affect others, even as far away as Guatemala. Jenn says: "Follow me on instagram at @fairestjenn, join my facebook group at bit.ly/fairestjenn or visit my website bit.ly/NoondayJennK to shop and learn more about Noonday. They can also shop here to donate to relief efforts for the Guatemala volcano eruption. bit.ly/GuatGiveBack18 "